Nabeel Qureshi's Load Wedding is a satire on issues within Pakistani lower middleclass family culture with just the right mixture of comedy, complex characters and intense emotions. The best thing about this film is that it educates and entertains at the same time. 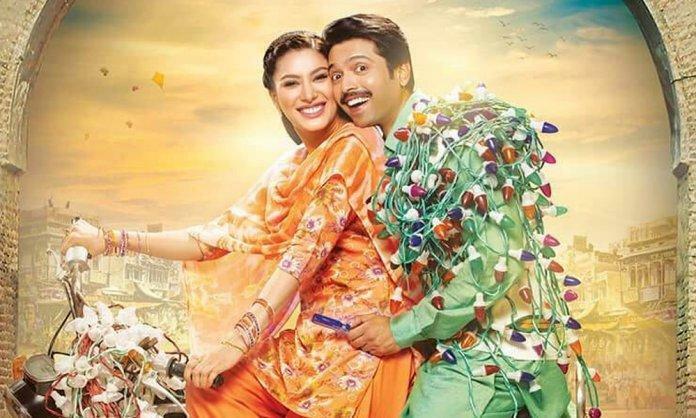 Load Wedding tells the story of Raja played by Fahad Mustafa who belongs to lower middleclass with the sole responsibility of his family on his shoulders (after his father passes away) and how he deals with issues that comes from being in his position, like arranging dowry to get his elder sister Baby Baji married , to get married himself to a widow before Baby Baji being the younger one, lack of privacy in a Pakistani family household after getting married etc. Narrative deals with many social issues prevalent in our society woven beautifully with in screenplay. Screenplay is well paced and has the right balance of drama and comedy. All the events surrounding Raja and his family, till they find solace creates a very eye opening yet entertaining experience. 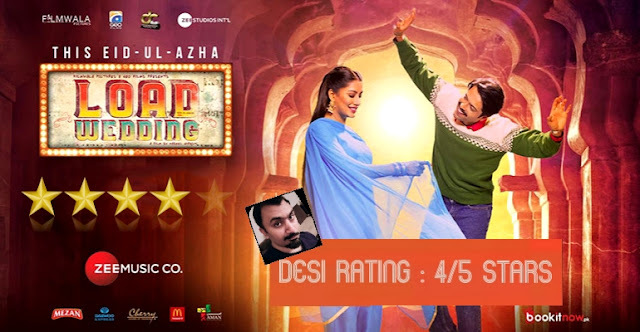 The treatment of the film is very different from usual Pakistani films, it may have been advertised as a masala entertainer but in fact in reality it’s an educational film, on the similar note to Bollywood films like “Tumhari Sulu” or “Queen”. Direction is superb and attention to details in the presentation is impeccable. From Saddam Hussein’s poster in first flash back to Dentonic advertisement in the second, further away in time flash back, everything is well thought through and very realistically presented. This film is not only well made and presented but is equally amazingly performed. Everyone has done impressive job. Fahad Mustafa as Raja is pitch perfect and his climax speech will get you teary eyed easily. Mehwish Hayat, Samina Ahmed, Noor Hasan and Faiza Hasan all have given one of the best performances of their careers. Qaiser Piya as Raja's best friend appears a little off in the beginning but as the film proceeds he gets better as well. The only negative from my perspective is the sound mixing department as the sound quality of songs and the dubbing appeared disarrayed. Lyrics and singing doesn’t stand out as it should, and songs appear to be loud rhythmic noises. Music could have been a lot better. Also, the dubbing is visible, there are moments that will give you the feeling of watching a dubbed Turkish drama. But again, for a normal audience these two things will not be an issue as the story telling and connection to the characters on screen will involve them immensely. Load Wedding is clearly my favorite from the three-big releases from Pakistan this Eid. There are so many great messages that it's a must watch for everyone and its equally entertaining. I go with 4 Stars.